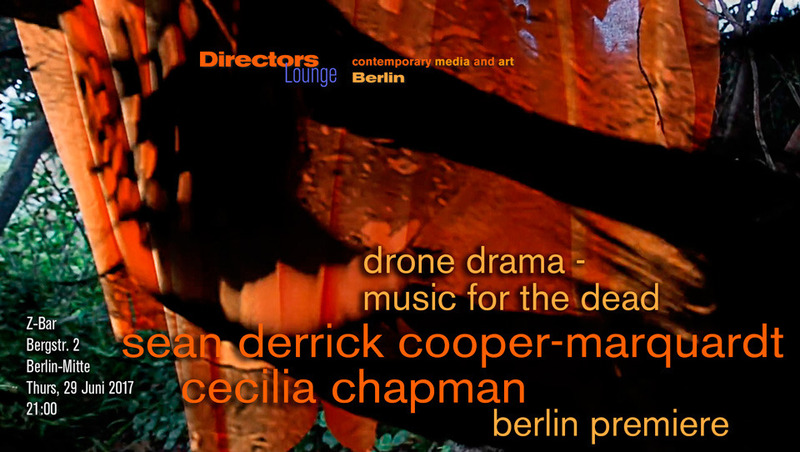 “Music For The Dead” originally arose as the third act of the Sean Derrick Cooper Marquardt’s Drone Drama Trilogy, which was previously released in three acts, on three seperate labels, and which includes “The Radiant Child : First Act The Awaking Assiduous Awareness”, “God`s DNA” and finally “Music For The Dead”. 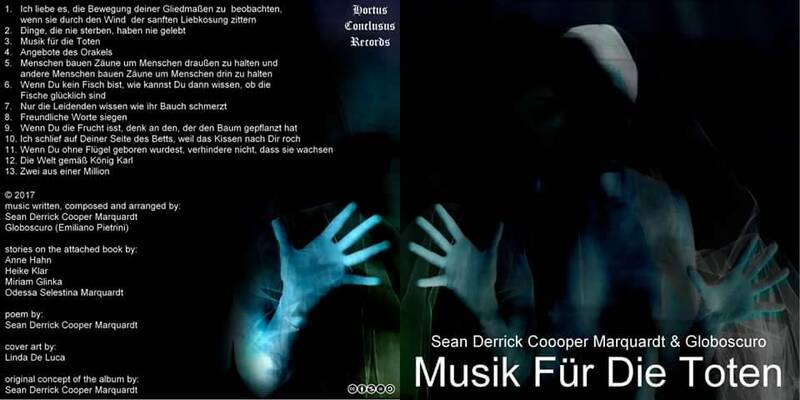 The third act has been recently put to film by the director Cecelia Chapman and has now premired in the city of Cologne and soon at various international film festivals, the album Music For The Dead has been also released and translated in the following languages: English, Italian, Norwegian, Dutch, Croatian, French. This German Album Release is something completely different due to the fact that is has been re-worked, re-arranged and re-recorded with totally new compositions molded and shaped by the artistic embrace of Sean Derrick Cooper Marquardt and Emiliano Pietrini aka Globoscuro and also includes a pdf booklet with four stories by Anne Hahn, Heike Klar, Miriam Glinka & Odessa Selestina Marquardt plus a poem by Sean himself. To crown and wrap this album with another veil of beauty there is the ambigous and wonderful cover art created by the magnificent and talented italian photographer Linda De Luca. The album contains 13 tracks of variable duration between 1 minute and maximum 3 minutes (no second is allowed) that sail like a roaring turbine among sounds devoted to the musique concrete, electroacoustic, psychedelic, post-rock, dark ambient and noise. The sound passage seems to be metaphorize a polidimensional journey in which the listener encounters significances, geometries, emotions and visions that interweave and alternate creating a labyrinthic yet strangely well-defined landscape. Like stories inside the same story that fight to spread their desperate voice but far from the constraint of the word.